Elizabeth Smith designs under her line, The Brown Stitch. Recently, she has recently come out with a series of beautifully simple patterns in Berroco yarns that are not only photographed beautifully, her styling is spot on. 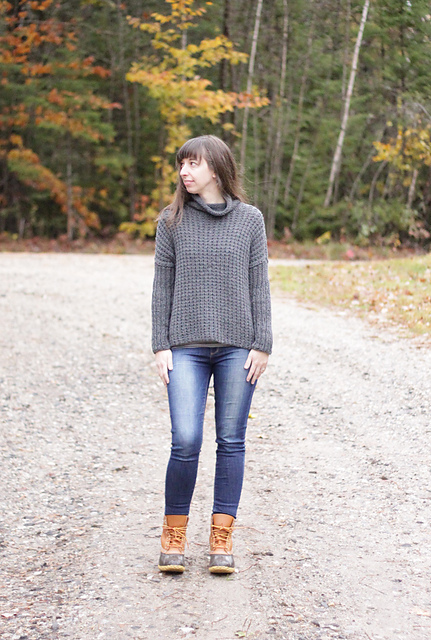 Bosco is an oversized, loose, boxy pullover, knit seamlessly using Berroco Vintage Chunky. I think it looks like the sweater to live in for the next 6 months. 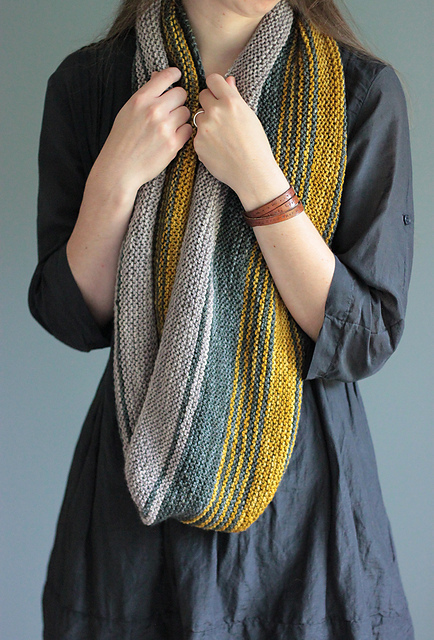 I would wear it with Gulf of Maine, Elizabeth’s cozy, garter stitch cowl that is knit with 3 shades of Berroco Artisan (my 3 favorite shades). Elizabeth’s work is simply beautiful and incredibly wearable. You can browse her complete portfolio of design work on Ravelry. Next article Emily Explains: How do I choose the right needles for my yarn?